At this summer’s World Cup, Argentina will hope to end an international drought that stretches all the way back to 1993. It’s hard to imagine that it’s been 25 years since they’ve won something. This, despite producing so many illustrious talents over the years. For that reason alone, it’s worth exploring the last great era of talent that lifted a meaningful trophy for the national team. Argentina were in a state of doldrums after losing to Germany in the final of Italia 90. 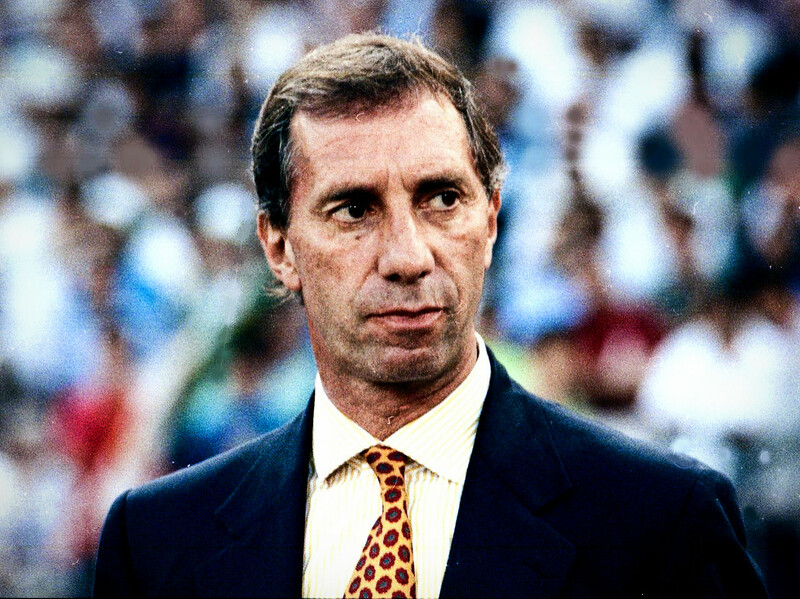 The negative tactics deployed by manager Carlos Bilardo saw the finals end in disgrace as they notched up 22 bookings along the way, the highest number of any team at the tournament. Argentina also had the highest number of red cards. Diego Maradona, who dragged his team to the final, was dejected after receiving his runners-up medal. He, along with Bilardo, would head into exile, unable to do any more for a nation struggling on the world scene. Following the fiasco in Italy, it was clear that the Bilardismo approach of winning at all costs had come full circle. The team needed a new direction, one that could cope in the absence of Maradona. The Argentine Football Association’s (AFA) search for a new boss led them to a compelling figure by the name of Alfio Basile. 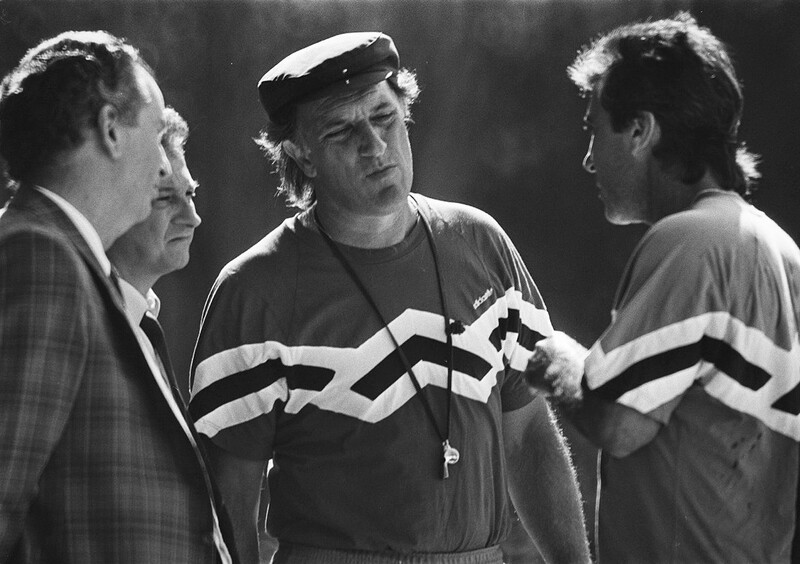 Basile was then managing Avellaneda side Racing Club, guiding them to the 1988 Supercopa Libertadores title. Under him, Racing became familiar for their attractive style of football, his approach very much analogous to the philosophy of César Luis Menotti. With Argentina needing to go back to their La Nuestra roots, Basile represented the perfect man for the job. His first assignment was to prepare the team for the 1991 Copa América, held in Chile. Basile was more than happy to give opportunities to young players from the domestic scene, feeling it was important to inject some new faces into the team and move away from the Maradona-Bilardo era. It would allow him to refine his ideas and offer the side a fresh start. This became easier following Maradona’s 15-month suspension for failing a drug test. His appointment couldn’t have come at better time. A new generation of exciting talent was coming through in the domestic league, including Gabriel Batistuta and midfield dynamo Diego Simeone. There were other names too: Leonardo Astrada, Diego Latorre, Dario Franco, Fabian Basualdo, Leonardo Rodríguez and Antonio Mohamed. Basile’s tenure started with a 2-0 win over Hungary in Rosario, however they had to settle for draws over the next few friendlies. Critics began to jump on Basile’s back due to his inability to turn draws into wins, which the manager countered by stating their mental strength at turning certain defeats into draws, including a game against England at Wembley that finished 2-2 after La Albiceleste found themselves 2-0 down. 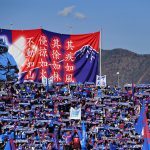 As such, he was confident that the team put in place would deliver in Chile, and they started in superlative form, winning all their group matches. They dispatched Venezuela 3-0 and Paraguay 4-1, with the only obstacle coming from hosts Chile in a 1-0 win and Peru 3-2. Basile and his team were in imperturbable mood going into the second stage. Unlike today, the Copa América format back then was very different. Teams that finished in the top two of their respective groups played in the final round group, which would decide the winner. Following Argentina from Group A were hosts Chile, while Colombia and Brazil qualified from Group B. Their first match was against arch-rivals Brazil. The fans at the Estadio Nacional were expecting a hotly-contested affair – and they got just that. There were plenty of goals, including a thunderous free-kick from Branco. In the end, Argentina held on to win 3-2, thanks to a double from Franco and one from Batistuta. But much of the gloss was lost after the referee had to send five players off. Brazil recovered from their loss to Argentina by notching wins against Colombia and Chile, while Argentina only took a point in their next match against Chile. With Brazil having the better goal difference, Argentina had to beat Colombia to guarantee victory. Basile, determined as ever, wasn’t going to allow his team to crumble at the most critical stage and deployed an attacking formation that would take the game to Colombia. They were handsomely rewarded in the first 20 minutes. Argentina got off to a dream start thanks to goals from Simeone and Batistuta. Colombia responded with a consolation effort from Anthony de Ávila in the 70th minute but Argentina held on to lift their 13th Copa América title. Basile’s first assignment with Argentina was an overwhelming success. More than that, it was the coming of age of an exciting team that was playing with confidence and conviction, justifying the hype surrounding this generation of talent. Batistuta, who took the Golden Boot award in Chile with six goals, had established a potent partnership with Caniggia, while Simeone proved to be more than capable of wearing Maradona’s number 10 shirt, even if he wasn’t your typical attacking playmaker. Bolstered by the creative forces of Rodríguez, Franco and Astrada, Ruggeri was able to focus on his defending and lead from the back, and his partnership with Sergio Vázquez was as solid as the Walls of Jericho. Basile had put together a team that was harking back to its La Nuestra heritage. And now, with renewed belief from the fans and players, many predicted glory at USA 94. The year 1992 was a momentous time for Basile and the national team. They added to their trophy collection by winning two friendly tournaments; first the Kirin Cup in Japan after defeating Wales and the host nation; then the Copa Lipton after beating Uruguay. That year also saw the emergence of a versatile midfielder by the name Fernando Redondo. Redondo was one of the best talents to emerge from Argentina at the time, likened to a number of past legends, including Maradona himself for his silky technique. Redondo’s deep-lying playmaking skills quickly became a major asset in Basile’s side. For winning the Copa América, Argentina had the privilege of taking part in the King Fahd Cup. Held in Saudi Arabia, this was the precursor to what we know today as the Confederations Cup. Paired with the Ivory Coast, Argentina had no problem in seeing off the champions of Africa 4-0 thanks to two goals from Batistuta, Ricardo Altamirano and Alberto Acosta. In the final they met the host nation, who dispatch the United States earlier. In front of packed crowd at the King Fahd II stadium, Argentina romped home 3-1, with Redondo was named as the tournament’s best player. Basile’s side had gone another year undefeated. His plan of putting a team together that could lift Argentina’s third World Cup was going smoothly. There was, however, one obstacle that had to be navigated first – the qualification round. Argentina, together with Colombia, Paraguay and Peru, were placed in the same group. On paper, they shouldn’t have had too much trouble booking their ticket to America. Aside from the qualification campaign, Argentina also needed to defend their Copa América title. In the midst of preparing to usher in the new year, there was welcome news in early 1993 as Diego Maradona announced that he was ready to make his comeback to the national team. Now with Sevilla, there were still some questions regarding his fitness levels and whether he could still perform at the very highest level. Despite that, Basile gave him his first call-up in two years. As part of their centenary celebrations, the AFA had arranged for a friendly against Brazil. Maradona was given a raucous reception at El Monumental in a positive draw. Six days later, they welcomed Euro 92 winners Denmark for the Artemio Franchi Cup. The Danish Dynamite arrived with a full-strength squad while Argentina were only missing Ruggeri, who had received a red card against Brazil. It promised to be an epic encounter. Denmark got off to the better start thanks to an own goal from Néstor Craviotto. Argentina fought back and got their reward on the half-hour mark. Simeone combined with Maradona, who fed a lovely through-ball to Batistuta. Argentina’s number nine missed but Caniggia was on hand to tap in the rebound. La Albiceleste eventually won on penalties, maintaining their unbeaten record and winning another cross-continental tournament. As Argentina continued to look invincible, the next few months would prove to be a testing time. Maradona’s inclusion in the team remained questionable due to his form. Basile, however, wasn’t going to rule him out just yet, but he acknowledged that El Diego’s looming shadow may have been detrimental to the rest. Basile was then hit with another blow when Caniggia was banned from playing after failing a drugs test. As a result, Basile wouldn’t be able to call him up for the Copa América or the World Cup qualifiers. The 1993 Copa América was held in Ecuador. With the core of the squad still intact from two years earlier, Argentina entered as one of the favourites. In a group with Colombia, Mexico and Bolivia, Argentina should’ve eased through. The reality, however, was very different. Their only win came against lowly Bolivia in the first game, followed by two underwhelming draws as the side struggled to click. Awaiting them in the quarter-finals were Brazil, now the favourites. From the off they looked unstoppable, and it was no surprise when they took the lead in the 39th minute courtesy of a brilliant strike from Müller. Argentina had to respond in the second half and Basile brought on Rodriguez to rejuvenate his side. It paid off as he headed in an equaliser in the 69th minute. With the final score 1-1, the match would be decided by penalties. Just like against Denmark, Argentina triumphed, going on to face Colombia in the semis. La Albiceleste’s trend of ending matches in a draw continued in the semi-final. Again, Basile needed the hand of Sergio Goycochea to take them through. In an almost carbon copy of the shootout against Brazil, it was tied at 5-5 before the goalkeeper’s divine intervention. Argentina would face Mexico in the final, who were hoping to make their own history by becoming the only invited winners in history. But it was Basile’s side who took the lead thanks to Batistuta. By his lofty standards, Batigol was enduring a horrendous tournament. This time, however, his powerful shot was too much for Mexico’s Jorge Campos as Argentina took the lead. The lead didn’t last long as, just four minutes later, Benjamín Galindo equalised from the spot. With the game heading to penalties again, Batistuta ended his finals on a high by netting the winner thanks to some good work by the ever-impressive Simeone. Basile and Argentina had successfully defended their title, cementing their reputation as arguably the world’s best team at the time. Despite remaining unbeaten, there were concerns regarding the team’s form, in particular the number of draws. To qualify for the World Cup, Argentina needed to get their act together. All worries were put aside, however, after they got off to a positive start. Back-to-back wins over Peru and Paraguay put them in the box seat as they headed to Barranquilla to face a talented Colombia side. Basile succumbed to his first defeat as Argentina boss as Colombia won 2-1, cementing their own reputation as an emerging force in world football and leading Pelé to later decree them as his favourite for USA 94. With their away fixtures complete, Argentina could focus now on getting the job done at home. They recovered from their loss to Colombia to defeat Peru 2-1, but a draw against Paraguay meant they had to beat Colombia to secure an automatic passage to the US. The visitors were now top of the group with a better goal difference. What could have been a perfect evening for the fans at El Monumental soon turned into a nightmare of Stephen King’s proportions. Colombia were superb throughout qualification so weren’t going to be pushovers – Argentina knew this. With Los Cafeteros leading 1-0 at half-time, everything was still to play for. Argentina, however, would register their greatest implosion in history in the second half as Colombia scored four more to rout them at home. It represented their maiden defeat on home soil in a qualifier. The Colombians received a rapturous ovation from the crowd, including Maradona who was watching from the stands. Argentina, almost on the brink of elimination from the World Cup, scraped through thanks to a draw between Peru and Paraguay. El Grafico went on to publish a black cover with headline ‘Verguenza’ (Shame). They had gone from continental champions to a laughing stock in a matter of months. This result meant that Argentina had to book their ticket to the US the hard way. They now faced Australia in an Intercontinental playoff, with Basile under enormous pressure to recall Maradona back into the team. With the team’s morale at an all-time low, El Diego’s presence was needed. Maradona travelled to Sydney for the first leg. With him on board, there was a media frenzy following the team. Much of this was, in fact, pretty negative as the Australian tabloids focused on his drug-taking past. Despite that, Basile and his team were there to get the job done before heading back to Buenos Aires. Played to a capacity crowd, giving the Socceroos an edge, Argentina struggled to break down a stubborn Australian defence. Desperate for some magic from Maradona, they got just that in the 37th minute. Maradona sent a sublime cross to Abel Balbo who headed Argentina into the lead. Within minutes, however, Australia responded courtesy of an equaliser from Tony Vidmar, and that’s how it ended. The performance in Sydney wasn’t the tonic the team needed, and they had to show some class at home or risk the wrath of their fans. The Socceroos might have been overwhelmed by the atmosphere at El Monumental but they did their best to hold their own. In the end, it was a deflected own goal from Alex Tobin that made all the difference. Argentina were on the way to the US, but not in the way anyone expected. For his part, Basile had fulfilled the most important part of his appointment back in 1991. But dark clouds following the defeat against Colombia continued to cast shadows over the team. The Utopian period during Basile’s first two years was now a thing of the past. There was some good news, though. The draw, which took place in Las Vegas in December, turned to be favourable for Argentina as they were paired with Greece, Nigeria and Bulgaria. Basile could breathe a sigh of relief. 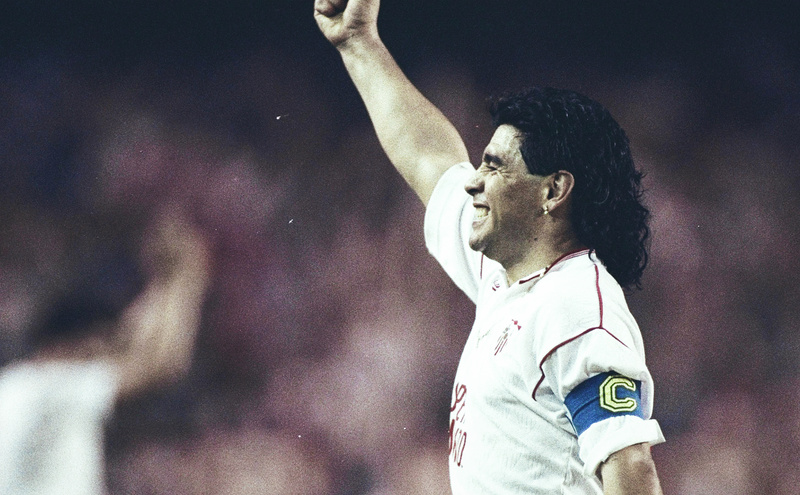 One thing was now certain: Maradona would be going to his fourth World Cup at the age of 33. Basile may have initially been reluctant to recall him but, as proven in the playoff against Australia, his leadership was vital. More good news came in the form of Caniggia returning after his ban. After several friendlies and months of preparation, it was time for Basile to select his squad. 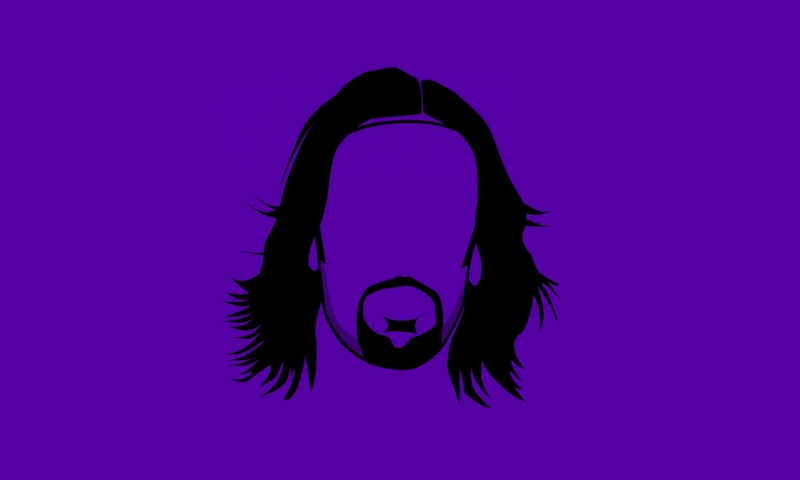 There were several certainties: Batistuta, Balbo, Ruggeri, Vázquez, Simeone, Redondo, Rodríguez and Caceres. Also returning to the fold after missing a couple of years was Néstor Sensini. Goycochea was relegated to the bench; in his place came Luis Islas, a veteran from 1986 side. Ramón Medina Bello, who had been in and out of the side, was also included in the squad alongside José Chamot, Hernán Diaz and rising star Ariel Ortega. Ortega, the youngest member of the team, was being touted as the heir to Maradona’s throne. 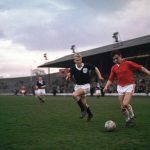 The days before the match against a little-known Greece side were filled with plenty of apprehension. After all, it’s not unusual for Argentina to start the World Cup on the wrong foot. This was evident in losing to Belgium in 1982 and Cameroon in 1990. For this match, Basile opted to go for kill by starting a three-man attack of Batistuta, Caniggia and Balbo. A risky decision paid off as it only took two minutes for them to open the scoresheet thanks to Batistuta. He added another just before half-time. The momentum didn’t stop there as Argentina added a third in the 60th minute. Maradona, playing short passes with Redondo and Caniggia, then sent a powerful shot into the top corner with his left foot. What followed was the iconic eye-bulging celebration seen by millions around the world. Batigol scored Argentina’s final goal, completing his hat-trick from the spot. It was the perfect start. The next game would see them face the Super Eagles of Nigeria. The Africans arrived in buoyant mood following their stunning 3-0 win over Bulgaria. The celebrations continued as they went 1-0 up against the South Americans in the eighth minute. Despite their false start, Basile’s Argentina didn’t succumb to the pressure. They rallied back in stunning fashion thanks to Batistuta and Caniggia to win 2-1. With six points from two matches, everything seemed rosy. Basile’s team looked rejuvenated thanks to the inspiring Maradona. The looked compact from top to bottom and were now the tournament’s favourite. There was a sense of belief inside and outside the camp that Argentina could lift a third World Cup. Then came the most unexpected news. Maradona, who played a full 90 minutes against Nigeria, was taken for a drugs test after the game. Evidence of ephedrine was found in his bloodstream after he consumed an energy drink given to him by his trainer. As a result, he was kicked out the World Cup with immediate effect, leaving his teammates to plug a gaping hole in their attack. Basile had no choice but to get the team working without his commander-in-chief. Rodríguez, the player who served him so well in two Copa Américas, took up the playmaker role. While Argentina were trying to compose themselves, things got worse. An injury to Caniggia in the early stages of the game meant that Basile was forced to make a further change. Ortega came in, hoping to give them some extra creativity in midfield. Maradona absence was felt throughout the game and Argentina weren’t able to crack Bulgaria’s tough defence. Goals from Hristo Stoichkov and Nasko Sirakovsaw Argentina lose 2-0 and finish third in their group. Within the space of a few days, the team had crumbled. Argentina made it to the knockout stage as one of the four best teams to finish third in their group. For that, they had to face an entertaining Romania side. 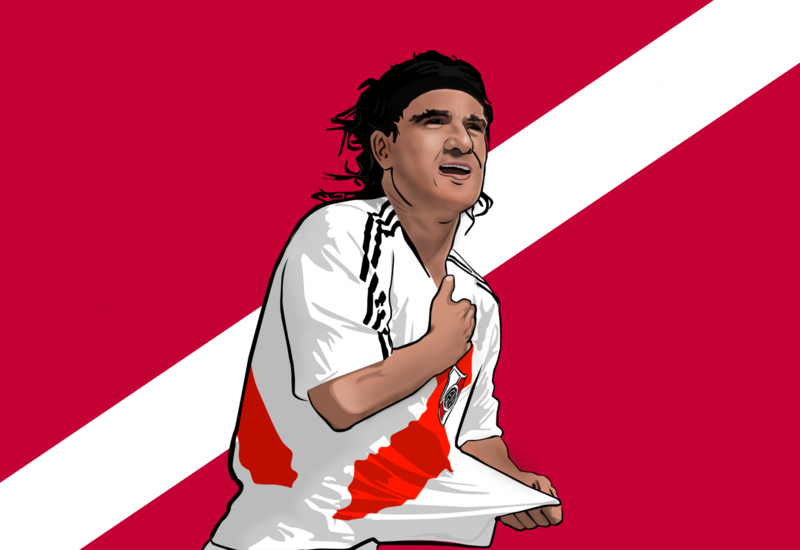 With Maradona and Caniggia both missing, Basile needed to energise his side. Ortega was brought in as a starter, and the pressure on his young shoulders was palpable. It might have been too much to ask for a 20-year-old, but he rose to the occasion. Down 1-0, he played crafty through pass to Batistuta who was then fouled for a penalty that he coolly dispatched. Though the Pasadena crowd missed Maradona, Gheorghe Hagi gave a masterclass that even the Argentine legend may have been unable to deliver at 33, playing a part in two goals as the European triumphed 3-1. It was a disappointing and premature end for a team that had been cast as the favourites coming into the finals. It also signalled the end of Basile’s time in charge. Over the years, many have asked what Argentina could have achieved had Maradona not been sent home. Indeed, in 2002 Simeone said that he would never forgive his compatriot for this. For me, even without Maradona, Basile’s team had enough talent in them to overcome Romania. In all likelihood, Caniggia’s injury cost them more than Maradona’s expulsion. As Basile’s first stint in charge came to a close, so too did Argentina’s silver-laden years. Basile would go back to club football, managing the likes of Atlético Madrid, Racing, San Lorenzo, Club América and Colôn Santa Fe with mixed success. Glory finally came to him again when he took over at Boca Juniors in 2005, winning the Copa Sudamericana and a couple of league titles. This prompted the AFA to turn back to him for the Argentina job after the 2006 World Cup. Basile accepted the offer to replace José Pékerman as the prospect of managing an emerging Lionel Messi was too hard for him to resist. But his second stint wasn’t anything like his first. Under him, Argentina failed to capture the 2007 Copa América after losing to Brazil in the final. After a string of poor result during the 2010 World Cup qualifiers, he stepped down for the sake of the team. Despite his failed second stint and an underwhelming end to his first, Basile has a unique place in football as the only man to have managed both Maradona and Messi. History will look back at his legacy with soft eyes, appreciating the rebuilding job he did with a broken Argentina side and the two memorable Copa Amêrica’s titles in the early-1990s. For those titles alone, the last pieces of silverware won by Argentina – barring two Olympic golds – Alfio Basile deserves his place amongst the pantheon of great Argentina managers.